Who will speak for the children about impact of marijuana? I am compelled to write to the community after attending the town of Truckee Marijuana Workshops to hear comments regarding the potential for allowing dispensaries, cultivation, processing, and delivery services to exist within our town boundaries. While there is no turning back to recreational use of marijuana; there is opportunity to gauge whether this community should allow access to the product that layers risk to our children and youth. Marijuana is classified as a Schedule I controlled substance, and under federal law, this classification has a high potential for abuse. Marijuana stimulates the pleasure centers of the brain; it is addictive in 9 percent of all users, in 17 percent of teen users, and in 25-50 percent of daily users. Compared to persons who began marijuana use in adulthood, those who began in adolescence are two to four times more likely to have symptoms of marijuana dependence within two years after their first use. Adults who became regular daily users in their teens and continuing into adulthood, were shown to have an average of an eight-point drop in intelligence by the time they were 38 years old; have two times the risk of being diagnosed with a severe mental illness; shown to have decreases in brain areas controlling learning, memory and emotional regulation; and, less likely to graduate from high school or earn a college degree. In 2016, over 38 percent of current California marijuana users, 18 to 64 years old, reported driving a vehicle within three hours of using marijuana. Marijuana use increased the risk of becoming involved in a car accident at any level of severity by about 25 to 50 percent. According to the National Survey on Drug Use and Health, when marijuana was legalized in Colorado, youth ages 12-17, past month marijuana use increased 20 percent comparing the two-year average prior to legalization. In a 2015 survey of Colorado school resource officers, when asked where students were getting marijuana, students responded 18 percent from the black market and 81 percent cited from friends who got it legally, from parents or from marijuana businesses. THC concentration levels determine the psychoactive impact of marijuana and have been genetically modified over time. In the early 1990s, the THC concentration increased from 3 percent in 1980 to an average of 16 percent in 2015. Higher concentrations may intensify and increase unfavorable effects, such as anxiety, panic attacks, and paranoia. Marijuana acts as a chemical imposter that binds in the place of the brain’s natural chemicals, flooding the system, and disrupting its balance. Regular marijuana use in adolescence is associated with changes to areas of the brain involved in brain development, as well as memory, attention, learning, retention, and impulse control. Substance use and abuse behaviors are not benign issues in our community among adolescents or adults. In Truckee, from 2015-2016, 17 percent of ninth-graders and 27 percent of 11th-graders reported using marijuana in the past 30 days, and in each of these grades, exceeded the California State rates by comparison data to previous years. Drug Overdose Mortality in Nevada County, and the surrounding counties of El Dorado, Plumas and Sierra, all have death rates of greater than 20 per 100,000 population, which exceed the California rate of 11.1. Alcohol abuse within the region was demonstrated in the last TFHS Community Health Needs Assessment in 2014 to far exceed the California State and federal rates for binge drinking among adults. The Mental Health Needs Assessment in the Tahoe/Truckee region, performed by the TFHS as part of the Community Health Needs Assessment in 2014, documented the use of alcohol and marijuana as primary issues of concern as substance abuse disorders in the region. Living in a small place magnifies certain issues in highly visible ways. This is where density matters. There are not many places to conceal cannabis operations, and the perception that dispensing, cultivating and/or processing cannabis becomes more normalized to children is worrisome. Attracting drug tourism and promoting cannabis consumption, without impact studies, may have unforeseen harms. 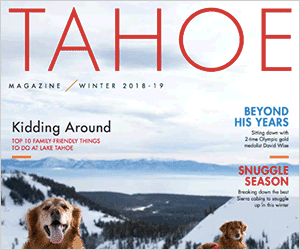 Infusing the cannabis business into Truckee appears inconsistent with our outdoor, healthy lifestyle achievements that local businesses, and regional and Olympic athletes have worked tirelessly to brand. The marijuana workshops have been eerily quiet of community members speaking or submitting comments on behalf of children and youth impacted by drugs. The voice that protects our children and future generations appears disengaged in the debate of the business aspects of cannabis when it is the most critical time to be heard. Will you speak for the children? Caroline Ford is Chairwoman of Tahoe Truckee Future Without Drug Dependence. She is also Assistant Dean Emeritus Frontier and Rural Health, University of Nevada School of Medicine.